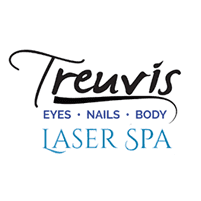 Acupressure and reflexology are about more than relaxing and pampering yourself, The dedicated team of physical therapists at Treuvís Eyes Nails Body Laser Spa offer personalized treatments. so book your next massage by clicking on the online scheduler or call this Clinton Township, Michigan, based spa directly. By appointment only. Whether a massage is part of your regular self-care routine or if you’re in need of one because you’re feeling sore, a massage session can certainly be beneficial. Which type of massage do I need? The team of expert massage therapists at Treuvis Eyes Nails Body Laser Spa offer a wide variety of therapeutic and relaxation massages. Some of the most popular types of massage are described below. A deep tissue massage involves incorporating slower, more forceful movements to gently manipulate the deepest layers of your muscles and connective tissues. While this type of massage is entirely relaxing, it’s often ideal if you have soreness or muscle tension, too. The Swedish massage is a more gentle type of massage that combines long strokes, tapping and kneading, and gentle circular movements. You’re left feeling relaxed, invigorated, and energized. The hot stone massage involves using heated smooth stones to rub down your aching muscles. By combining heat with massaging strokes, you quickly enter a state of bliss and relaxation. If you’re on your feet all day or have foot or lower leg pain, the sugar foot scrub with massage can completely invigorate you. This massage can be a standalone treatment, or added on to any of the massage services. What happens during my massage therapy visit? Once you check in for your massage at Treuvis Eyes Nails Body Laser Spa, the welcoming team shows you to your room. You slip into a luxurious spa robe and are greeted by your dedicated massage therapist. They spend time talking with you about your concerns, what you’d like to achieve, and which aromatherapy you prefer. All you have to do from that point is lie back and leave your stresses behind. 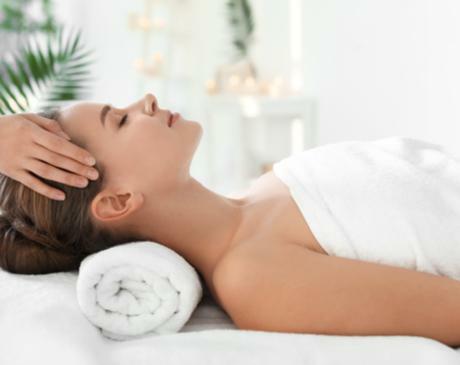 Depending on your specific treatment, massages can last anywhere from 30-90 minutes. Book your massage therapy session at Treuvis Eyes Nails Body Laser Spa today. Schedule online or over the phone.